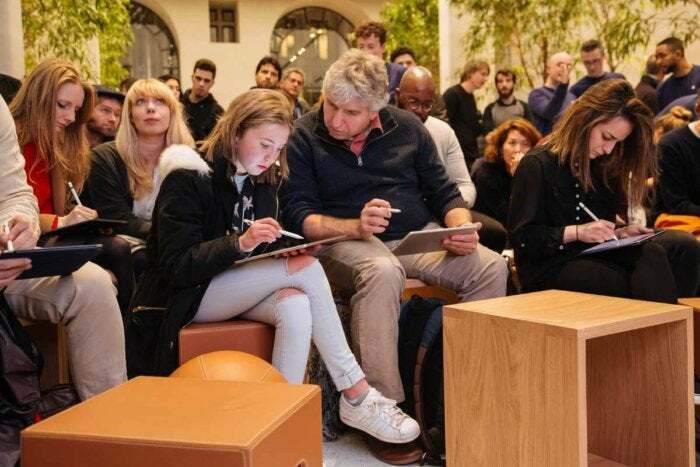 Apple has officially launched its new series of retail classes, and it could dramatically change the way we look at Apple stores. The Apple Store has always been more than a place to buy stuff. 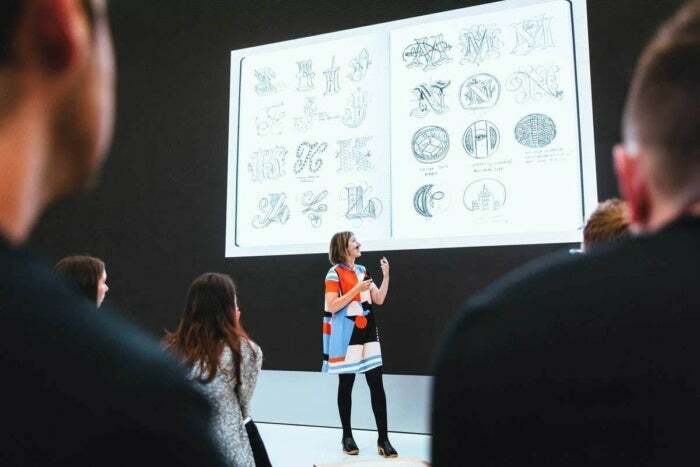 From the moment the first location opened its doors at Tyson’s Corner in Virginia, its main purpose was to create an environment where people could gather to talk, test, and learn about all things Apple. There were no pushy salespeople urging you to take advantage of the latest limited-time offer or time limits imposed on trying the products on display. Apple encouraged people to linger at the counters and spend a little more time at the stores, and that philosophy influenced the evolution of the store design, as software aisles gave way to casual seating and checkout lines were replaced with roving scanners. In many ways, Today at Apple, which launched this past weekend at all of Apple’s 495 retail stores, is the culmination of that strategy. The program is an extension of its occasional concert and class series, and aims to make the store a regular destination for customers, with structured, continuous sessions on a variety of topics. For example, my local Providence Place Apple Store has around 20 classes each day, starting as soon as the store opens at 10 a.m. and running until it closes. Classes are extremely varied and cover all of Apple’s product lines, from making music on the iPhone and iPad to navigating the Apple TV menu. There are introductory courses for new users, studio time for getting help on your latest project, and how-to sessions on apps like Numbers and Garageband. There’s even an hour-long class on Apple Music discovery, which speaks more to Apple’s confusing design than anything. But while Today at Apple might seem like a ho-hum affair, the pilot program is the company’s first step in spurring growth. While Apple is hardly struggling, sales have dipped somewhat over the past few quarters, and investors and watchers alike have been waiting for the next big thing to boost the bottom line. However, while Apple is surely working on several new products that it will announce later in the year, its retail strategy is as important to its growth as the next iPhone or iPad. Some classes are simply showcases of talented Apple users, like movement artist and star of Apple’s AirPods commercial, Lil Buck, seen here at the Forum at Apple Union Square in San Francisco. Case in point: Apple has been actively redesigning its stores to better highlight its classes. The new Singapore store, for example, has an entire upper floor dedicated to the Today at Apple sessions, and the iconic New York City Fifth Avenue Apple Store is in the midst of a massive redesign, which will also presumably add space for classes. Even my small mall-based Apple Store received an update this past weekend, adding more open space and amenities to accommodate Today at Apple. Of course, the ultimate goal here is to increase sales, but the classes don’t seem to be specifically created around products. Some are designed for new purchasers and others actually encourage you to bring your own device to learn more about how to use it. Sessions may feature indistry experts. Here, author and lettering artist Jessica Hische held a recent Live Art session. It’s not entirely clear how Apple us going to handle the details of the classes, however. In smaller stores like mine, it can quickly become uncomfortable on particularly crowded days. With classes all day long now, Apple might need to start limiting participation to make sure shoppers aren’t turned away, especially on days when a major speaker or artists is appearing. But Today at Apple isn’t about selling you a product, it’s about plating a seed. Even if someone doesn’t walk out of an Apple Store with a new iPhone or iPad, they’ll be more likely to remember what they learned when they are ready. I could see future classes being used to spotlight local people who have created amazing things with Apple products or kids who are just learning how to code. With more than $200 billion in annual sales and an $800 billion market cap, Apple may be the biggest company in the world, but they are still thinking small. And from small things, big things one day come.